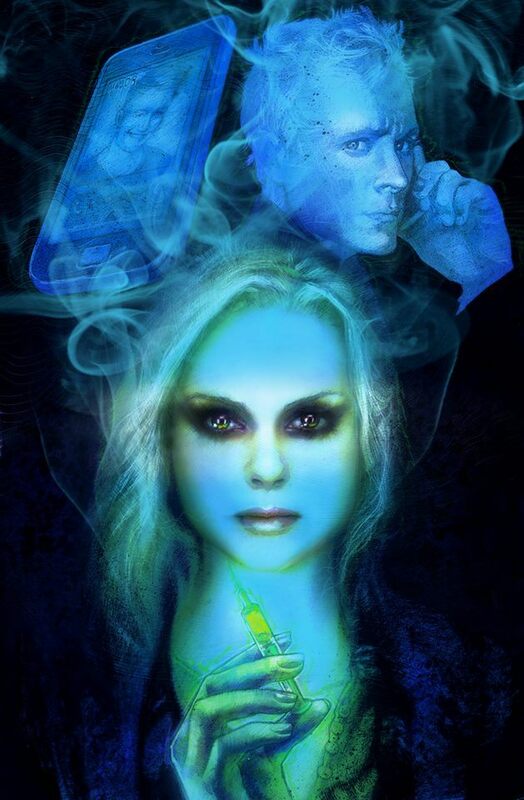 Remember the iZombie Fan Art Contest? This is not the winner of that contest. This is another painting commissioned from their pool of professionals. You still have time to make your own drawing and enter it in. What’s in the syringe? Is it a cure? Will Liv take the cure? …..no she won’t, then there would be no show. Will she get into a fight with Blaine and stab him with the syringe when he’s not looking? That’s a better plan, but it would also mean no Blaine for Season 2. What’s really going to happen? This preview with commentary from producers Rob Thomas and Diane Ruggiero-Wright may offer a hint or two. Or not. 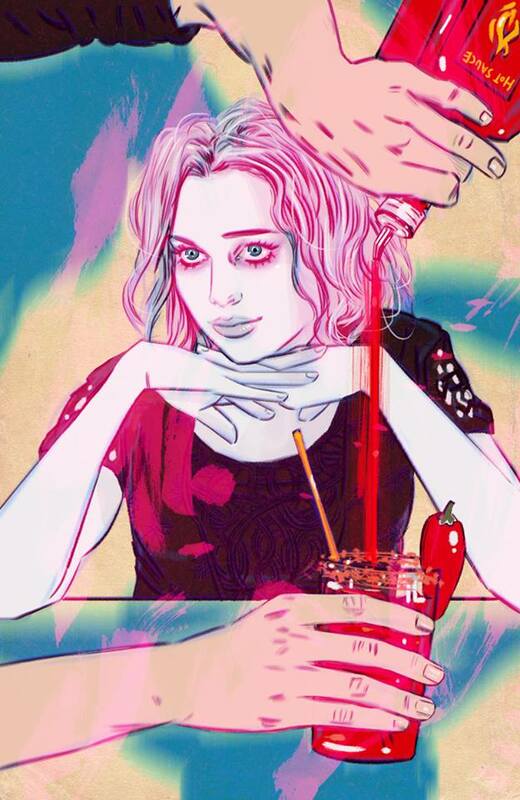 The season finale of iZombie will appear on The CW tomorrow night at 8/7 Central. Miss it and be sad forever. 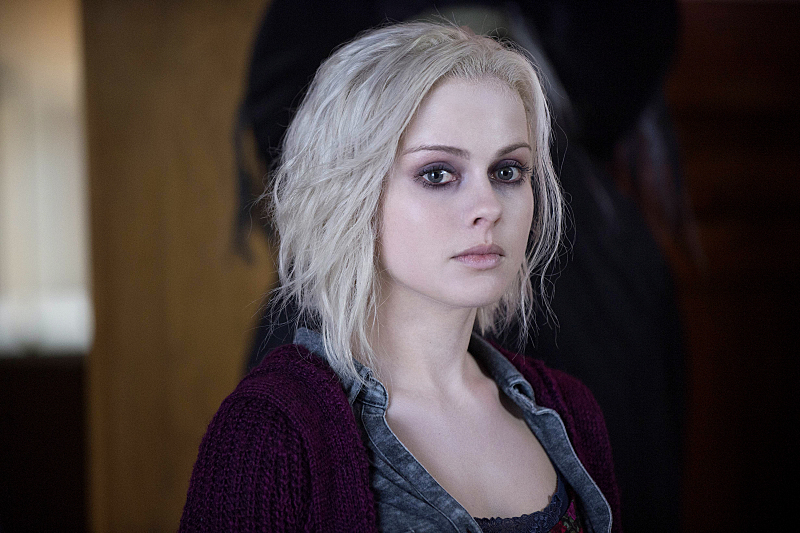 LIV FACES A TOUGH DECISION — After discovering new evidence in the Max Rager case, Liv (Rose McIver) and Clive (Malcolm Goodwin) pay a visit to Vaughn Du Clark (guest star Steven Weber) at Max Rager HQ. Ravi (Rahul Kohli) continues his search for a cure. Meanwhile, Blaine (David Anders) makes Liv an offer she can’t refuse. Lastly, Major (Robert Buckley) finds himself in an unbelievable situation. Michael Fields directed the episode written by Rob Thomas.